Colstan & Associates Inc - Coverage you can depend on. Colstan & Associates strives to meet the varying needs of our clients and provide top quality service and coverage at affordable rates. This means offering a wide variety of business insurance for both large and small businesses, as well as personal insurance for individuals and families. We offer Auto Insurance, Homeowners Insurance and much more. We have extensive experience in finding Commercial Insurance solutions for a wide array of businesses, organizations, and other public entities. Business can be risky; we’re here to help you minimize that risk. We are licensed insurance agents in New York, New Jersey, Connecticut, Pennsylvania, Illinois and Colorado. Colstan & Associates, Inc. We offer Auto Insurance, Homeowners Insurance and much more. We have extensive experience in finding Commercial Insurance solutions for a wide array of businesses, organizations, and other public entities. Business can be risky. we’re here to help you minimize that risk. Over two decades of experience in the insurance business has shown us how many people are dissatisfied with both the quality of service and the high rates that many insurance companies offer. We also know that reviewing your needs prior to the renewal of policies is the key to keeping your insurance rates at an affordable level. Colstan & Associates, Inc. strives to meet the varying needs of our clients and provide top quality service and coverage at affordable rates. 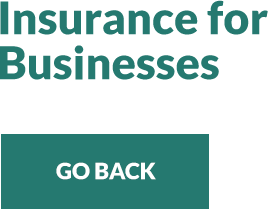 This means offering a wide variety of insurance for both large and small businesses, as well as insurance for individuals and families. Colstan Insurance understands the value of your money and your peace of mind. Let us use our extensive knowledge and experience to provide your business or family with the security that you deserve and expect.